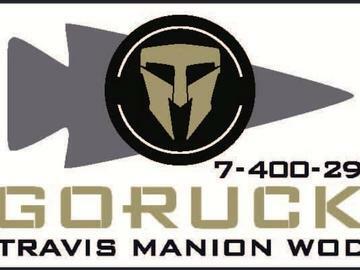 Join Vice City Ruckers, GORUCK, Travis Manion Foundation, and other ruck clubs nationwide at 8am on Saturday, May 4th at Vista View Park to complete the 2019 Manion WOD in honor of 1LT Travis Manion (USMC). The WOD consists of 7 rounds of a 400m ruck, and 29 ruck squats. A good starting weight is 10-20lbs but if you are training for a GORUCK Challenge event here are the requirements.